Now here’s a radical idea. If a referendum is about the voice of the individual voter, how about giving some emphasis to the individual’s representation in the European Union? Fox should have added the words ‘and citizens’ role within it’ to the end of his sentence. In other words, the phrasing should not be that I am a citizen of Britain, and that Britain is in the EU, but rather a simpler notion that as a Brit I am citizen of the European Union. 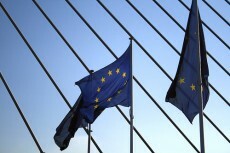 That I have certain rights and responsibilities, and wield some power and influence, directly as a citizen of the EU. If we cannot work out what Britishness means, even internally, why do we always bang on about membership of the EU being in our national interest? Strikes me it’s another broken frame in the UK-EU debate. You are right. This was an oversight on my part and should have been included in my piece. We must make people feel that they have a say and a role as citizens in the EU – I have always thought this, but should have spelt it out clearer in the piece.